Joining the BigBarn community gives you a great deal on couriers. From £2.33+vat 2-3 day delivery, up to 2kg, to £6.49+vat next day, up to 10kg, we can get you a great deal using ParcelBright. There are many other options all at great prices for small businesses. Once you start to send more packages ParcelBright will reduce your fees accordingly. For more call us on 01480 890 970 or use the direct link in BigBarn admin to sign up and quickly book your deliveries online. Panache make the perfect companion to Gin, cocktails and champagne! Widely used in puddings and cocktails or posh squash. We are passionate about what we do! UK Manufactured natural flavour infusions! We supply many shops, delis, pubs and bars and all see great sales. 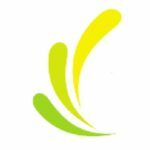 Agrantec offer a complete paperless traceability and production data management solution to the food industry saving valuable time and money. Keeping traceability at the heart, the platform uses cloud technology to provide an easy-to-use, secure and seamless management tool to businesses for documenting food production processes including stock and recipe management, end-to-end trace, food safety and quality records. To future proof your company, get in touch with our team by emailing [email protected] or call 0117 926 9003. Flamers Natural Firelighters are not your ordinary firelighters; they’re made from natural, renewable, untreated wood shavings dipped in wax. They are made in Britain, and due to their natural ingredients, they are odourless too. We have found that once people discover Flamers, they do not buy any other firelighters as they are so easy to light and provide a long-burn. You also only need one to light a fire which means they’re great value for money. If you’re new to cards we’ll discuss the best options for your business and arrange everything for you. In the last 12 years we’ve also assisted thousands of businesses with our free review and switch service. It’s simple with acceptcards as all we need is a recent card statement for our free and no obligation price review. BigBarn has partnered with AT&A Business Insurance to bring the low cost ‘BigBarn Insurance Facility’ to its registered retailers. From annual Public Liability insurance for the self employed through to complex insurance programmes for international trading companies, this facility will ensure your business is protected at the lowest possible cost. Our insurance underwriters are offering discounted pricing based on the ‘bulk buying’ capability of Big Barn. To take advantage of this facility please remember to quote ‘BigBarn’ when making contact. 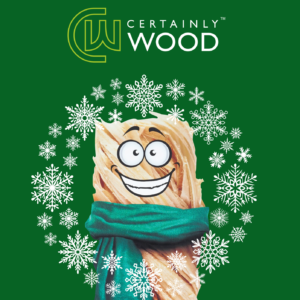 Woolcool is insulated packaging for the distribution of your product. It is high performance, eco-friendly and sustainable, made from 100% Sheep Wool. We are the solution of choice for the market leaders in online food delivery, eliminating the expense of temperature controlled transport, while ensuring your product arrives fresh to your customer. To discuss your requirements, call our team today on 0785 262 030. Don’t forget to mention BigBarn to receive 10% off your first order! For small orders call 3R Sustainable Products on 01282 50 50 08 and also mention BigBarn for a discount. 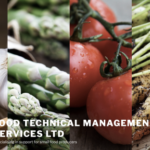 Food TM Services: Specialising in support for small food producers in the Eastern Counties and London. With 35 years’ experience in working with major food brands and start-ups in the UK and Europe we have the expertise in quality, product development, customer service and marketing to help you ensure the safety quality, legality and customer satisfaction of your products. Mad Hatter Tea is a unique, independent brand, offering an array of high quality teas to both the retail and wholesale markets. As a family-owned, family run business with over 35 years of experience in the food and beverages industry – we’re passionate about our product, and we work hard to ensure our customers feel the same way! What’s our secret? Well, you won’t be able to find our teas anywhere else, as we use hand picked unique blend of African, Ceylon and Indian teas which offer an incredible depth of taste. As Lewis Carroll grew up in our little town, we felt apt to name our tea after one of his best-known characters. We’re offering all BigBarn members 15% off their first Mad Hatter Tea order. Just give us a ring on 01748 329962 or email us at [email protected] and we’ll arrange this for you. Get 15% off your first order of Authentic Oriental sauces for members. All-natural, low allergen and vegan. At Yau’s it’s all about the taste. From original recipes we’ve created a range of sauces that deliver on flavour and are truly authentic. Our aim is to inspire you in the kitchen with products that will allow you to create dishes that the whole family will love, and with minimal fuss. Thought about winning customers by cutting the use of plastics? Simply allow customers to buy what they want and put it in a paper bag. Get the special BigBarn 10% discount on all Retail Equipment, like zero waste scales, slicers, mincers, bone saws, and tenderisers. Our most popular product at the moment is the X-Class 800 self-service scales zero waste. Call us on 01480 890 970 for more. 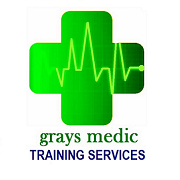 Grays Medic: BigBarn members get 10% off a wide range of training courses in Food Safety, Fire Safety, First aid and Health & Safety. Grays Medic really lives by its slogan “care for life”. The health and safety training is not just an important law compliment, it is important simply because it protects lives. Call David and the team on 0808 166 1016 for more.